This is my favourite time of year for photography, especially in Oxfordshire. The fields are covered with an array of colour. 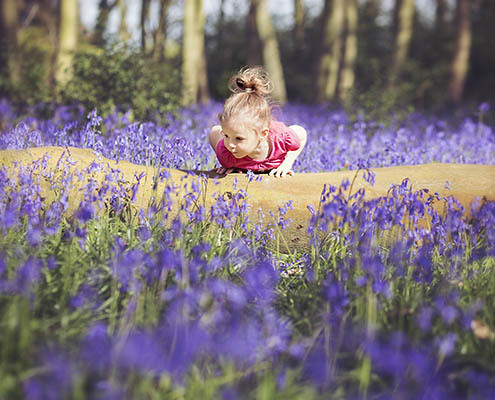 From the bright, happy feel of the Rapeseed fields, and the fairy-like pink blossom trees – to the stunning carpets of Bluebells, which never fail to take my breath away every time I see them. 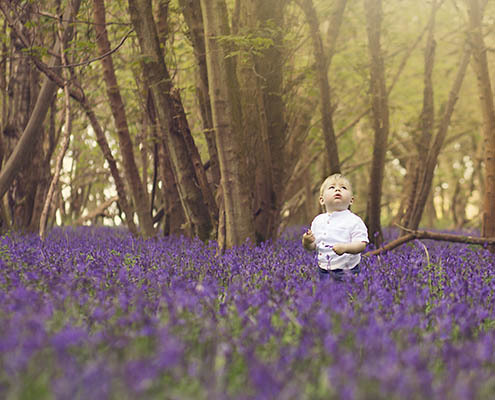 So my Bluebell photography sessions are most definitely one of my most favourite to photograph. We are lucky to have a choice of wonderful places to use locally and within a ten-minute drive of the studio. 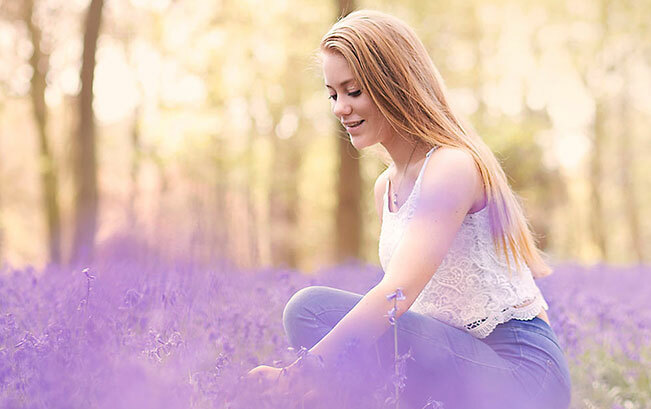 These sessions can be done at any age, whether you are a family of five, a 16-year-old, or a toddler, the ethereal blanket of colour against people will always make you smile. I keep them short and sweet – around half an hour for little ones and 45 minutes to an hour for older kids and families to get a beautiful gallery of images for you to treasure and adorn your walls with! I always recommend keeping your clothing light and airy – with lots of natural colours, creams, yellows and greens always work well against the background colours. 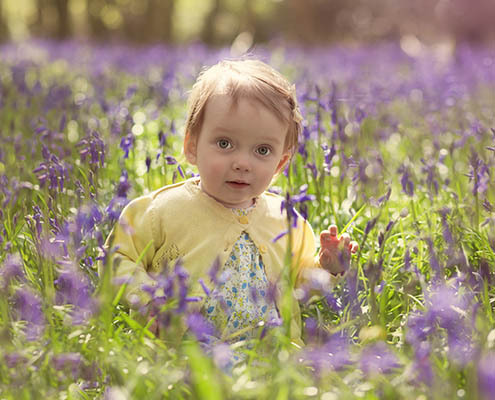 The toughest part is getting the timing right, this year with the weather being warmer, the Bluebells have flowered early, and already they are covering our woodland. I still have a few sessions available, which encompass 5 high resolution digital images, plus 5 mounted prints, for £99. Sessions will be running throughout the last week of April and hopefully in to the first week of May. If you are interested, please do drop me a quick email on emma@studiobambino.co.uk, or give me a call on 01491 200532 and we’ll find a time to suit you and your little (or big) ones! Have a look at some of my images from my sessions this week.